Rick Sanchez DGAF about your toll fees. Rick Sanchez could care less about “authority” in any dimension — this one included — which is why on October 2, 2017, the Rickmobile totally violated an innocent toll both in New Jersey. That’s right, Rick didn’t pay the toll, because why the hell would he? On Friday morning, Adult Swim shared via Twitter a what looked like a digital version or photo of a toll violation from the State of Delaware. Apparently, the Rickmobile — the traveling Rick and Morty vendor selling exclusive Rick and Morty merchandise across the country — passed through a toll at “Newark” plaza at 5:49 p.m. Eastern time on October 2. 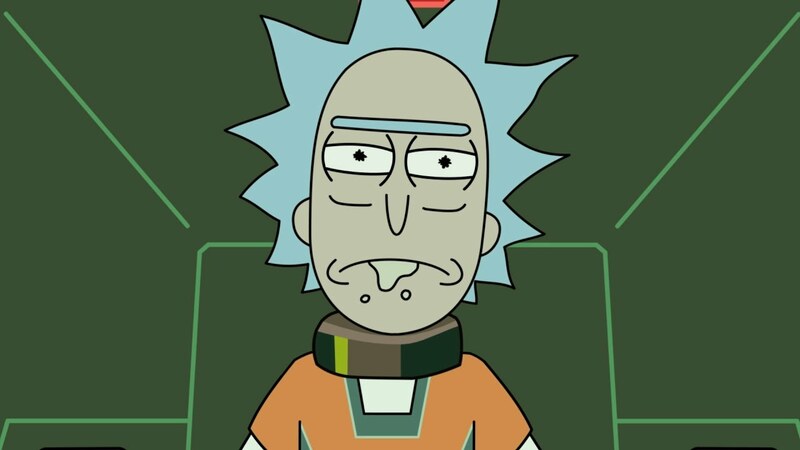 And Rick Sanchez? He didn’t stop to pay. Based on the official Rickmobile schedule, the vehicle was heading from its October 1 stop in Jacksonville, FL up to Jersey City, NJ for October 5. Does a tweet count as a formal apology? Probably not, but the Rickmobile tried as much. Hilariously, the image is 100 percent real. The Newark, Delaware toll plaza is one of the annoying ones that requires you to have an EZ-Pass mounted. It’s the only way to pay. And the plaza goes both ways on I-95, which means that if you’re traveling up or down the East coast, you’re almost certain to pass through it. When it doesn’t register an EZ-Pass, it snaps a photo of the back of the car to capture the rear license plate. In this case? It got a faceful of Rick Sanchez. The Rickmobile is an uncannily accurate representation of the mad scientist Rick Sanchez. Yes, the Rickmobile’s actual license plate number is C137RM, a reference to Rick’s home dimension of C-137 on the show. And, of course, “RM” means Rick and Morty. If you input the Georgia plate and the violation notice number 0006442687-1 — which the Adult Swim Twitter account did not blur out — you can look up the real-life citation on the Delaware Department of Transportation website. The Rickmobile owes Delaware $54. Are there any kind-hearted fans out there willing to cover the $54 that Rick Sanchez now owes the Delaware Department of Transportation? The Rickmobile’s journey ends in just over a week after a few more stops in North and South Carolina before ending on its home turf of Atlanta, GA. Hopefully, they picked up an EZ-Pass recently, or at the very least are able to avoid tolls from now on.